This production of Sizwe Banzi is Dead marks the first time a classic play from South Africa has been presented at Court Theatre. The occasion is long overdue. 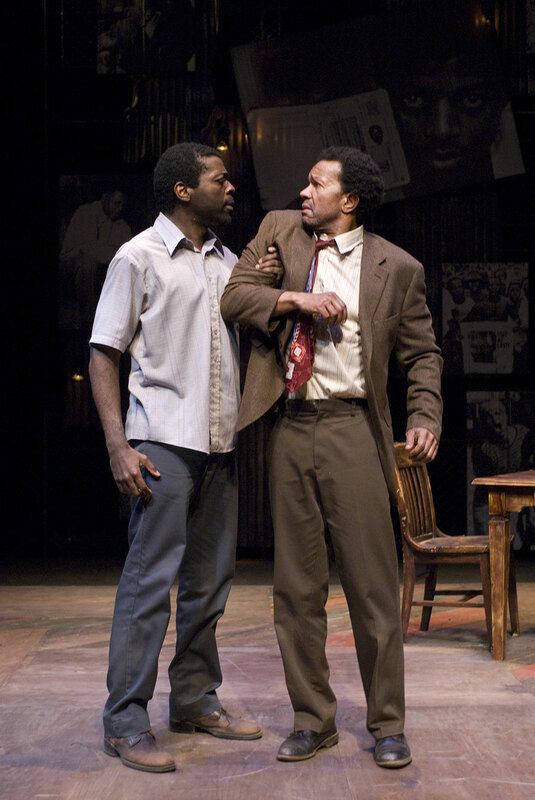 Court’s production of also marks the culmination of Chicago’s Fugard Festival 2010. This unique collaboration among three Chicago theatres—Remy Bumppo Theatre Company, TimeLine Theatre Company, and Court Theatre—has re-introduced Chicago to three of Athol Fugard’s major works: The Island, ‘Master Harold’…and the Boys, and Sizwe Banzi is Dead. When it was first performed in Cape Town in 1972, Sizwe Banzi was a powerful indictment of legal apartheid and its devastating effect on human dignity. Almost forty years later, Athol Fugard’s play is still relevant, not only for those too young to remember South African apartheid, but also for those of us in need of renewed moral clarity about the human oppression that continues to take place around the world today.